The Japanese Autonomous Orthodox Church faces problems in its mission: people in the "land of the rising sun" are in no hurry to get baptized. "We have newly converted believers, who have been baptized. But the majority of the baptized are children of mixed Japanese-Russian marriages. In total, there are about 20-30 new Orthodox believers a year in Japan," Metropolitan Daniel of Tokyo and All Japan said in his interviewee with the Izvestia daily. According to his data, there are about 30 thousand Orthodox believers in the country (there were about 90 thousand of them in the first half of the 20th century), 60 small churches and chapels are open, and about 30 priests work in them. "After the October Revolution, Orthodox Japanese were left to themselves and it did not help spread Eastern Christianity. And in recent years, Japanese have mostly focused on their immediate needs. They often forget that there is something more important," the Metropolitan said. According to him, very few Japanese want to become monks. "They want to have a family. It is not in Japan tradition - to be alone. When Patriarch Kirill was here, he told me it would be nice to have more monks here. But where can I get them? So we have two administrators for three dioceses and I have double the job. That's why I can't even find a successor," Metropolitan Daniel said. If someone from Russia becomes a successor, then the Japanese Church will "lose its autonomy," so "we need a Japanese," he believes. The Japanese Autonomous Church was founded by St. Nicholas (Kasatkin) who came to Japan from Russia in 1861 by decision of the Holy Synod. He founded and headed the Russian Orthodox mission in Japan in 1870. 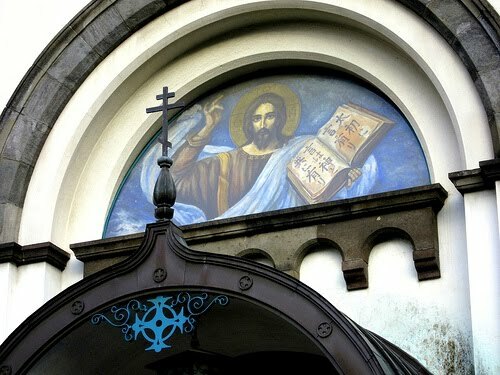 He translated the Holy Scripture and liturgical books into Japanese and built the Resurrection Cathedral in Tokyo. The Russian Orthodox Church canonized Archbishop Nicholas in 1970. The Moscow Patriarchate granted autonomy to the Japanese Orthodox Church the same year.